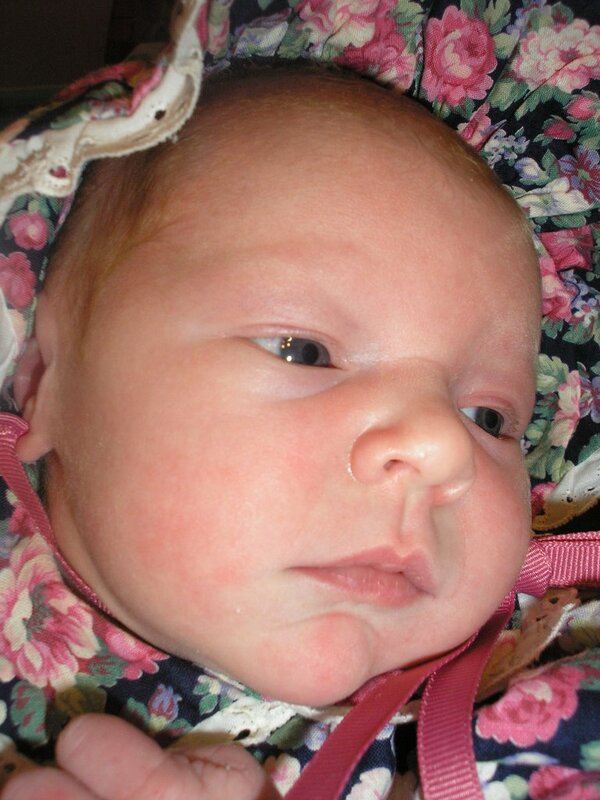 Below are pictures of my beautiful niece! I dressed her up in a pretty dress that Michele passed along to Maria. Lisa Beth is such a sweetie! She looked the part of a regular southern belle! I'm enjoying my time here. It has it's challenges, but also it's joys. I of course really enjoy cuddling Lisa Beth most of all! So precious!! Yes, that outfit was one of my favorites. She looks adorable! Oh, she is soo precious! Anna, you are one of the most mothering girls I know. Children just love you! When I was younger, I liked holding babies, but they always cried when I held them, so I sort of avoided it. But Riley loves me holding her, so I get to have my share of mothering too. How cute! She does look darling in that dress. Oh, she is so precious, Anna! I love the outfit you put on her :). Thanks for sharing a few pictures :). Oh, she is adorable, Anna!! I know you are just loving on her all the time! 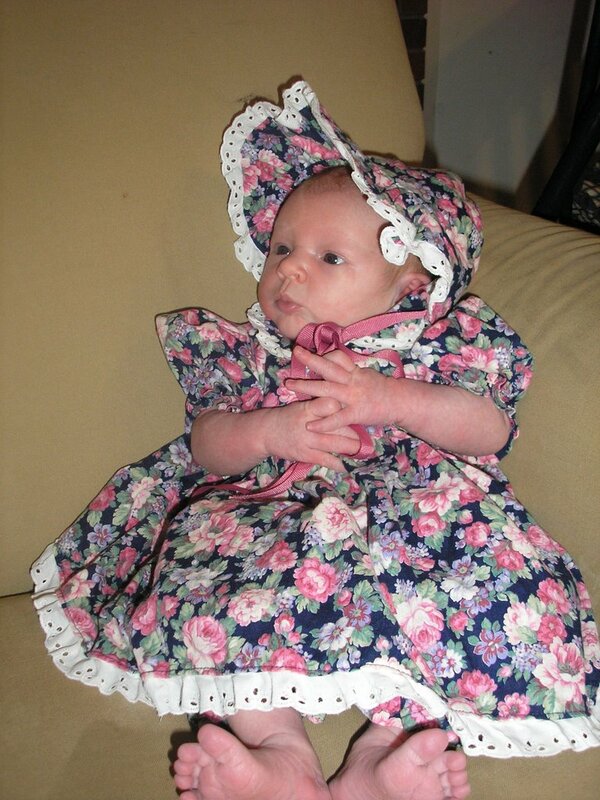 She does look cute in that dress and bonnet. Welcome to our blog, Robert. Hope you enjoy reading our posts. Michele, yes I definitely am learning that! I find myself asking for strength each day. Miriam, yes, I've always been the "little mother" type. Sara Rose seems to be taking after me. She loves trying to mother Lisa Beth! Babies love whoever takes care of them, it just takes practice. I love her outfit! She looks so sweet! I don't typically see baby clothes that nice.